Hundreds of retail, professional and service organizations call Kanata home. And they want to serve you. We created the KRP Advantage loyalty card as a unique benefit for our tenants and their employees. Use it to gain access to special offers and discounts at participating companies throughout Kanata. Your KRP Advantage Card is your ticket to great deals on the products and services your business and your colleagues use every day. Whether your company wants great rates on hotel stays or office supplies, or your employees want a break on the price of lunch or a round of golf, the KRP Advantage card offers something for everyone. Carry it everywhere and reap the rewards of being our tenant. Want to be number 81? Contact Natasha Plotnikov at nplotnikov@krpproperties.com or 613-591-0594 x 3003 for more information or to learn about KRP Advantage partnering opportunities. With expert advice our team can help you implement green solutions that protect the environment, improve indoor air quality, and contribute to LEED or WELL Building Standard™ certification. We can reclaim furniture and plan more energy efficient spaces, all while saving money in both the short and long term. Locally owned an operated for over 27 years, our remanufacturing division has become the largest office furniture remanufacturer in Eastern Ontario and Western Québec. We can re-size, refinish, and reupholster to create unique furniture that meets your needs. We also pride ourselves on restoring loved, quality pieces to extend the life of the furniture you simply can not work without. Our commitment to refurbishing office furniture results in a lower impact on the environment and the bottom line. Our guiding principal is that office furniture should not come at the cost of our environment. Family dentistry, restorative work, root canal treatment, wisdom teeth extraction, children, esthetic dentistry, invisalign, braces and sapphire whitening. Anata Dental Clinic is offering 20% off new patient exam for KRP card holders, their spouses and their children. Experience the ultimate in wellness at one of the most unique spas in Ottawa. At Brookstreet’s Au Naturel Spa, enter into a welcome sense of calm and be captivated by smell, sight, sound and touch, in an intimate environment of soft-spoken luxury and understated elegance. Au Naturel Spa is offering all KRP tenants 10% off of all products as well as 10% off of all esthetics from Monday-Thursday. 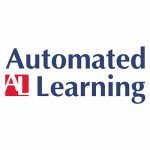 With your KRP Advantage Card, save 10% off all Automated Learning’s online courses and packages. Learn how to streamline business processes! This traditional pub in Kanata has the quaint feel but with all the options. Enjoy your favourite pub food with a wide selection of draft beers or scotches. The Barley Mow is offering all KRP tenants a 10% discount on all food products. 700 March Road loacation only. Barrhaven Moving has earned a reputation in the Ottawa region for superior service and value in all aspects of commercial and residential moving and storage. Black Gold Coffee is proud to be the recipient of Ottawa’s 2015 Consumers Choice Award for office coffee service and supplies. 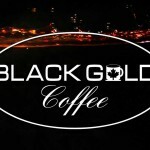 Black Gold Coffee is a locally owned company with over 20 years of experience in the coffee service industry. We are proud to be the leader in sustainable single cup coffee systems. Our goal is to provide a quality cup of coffee, by offering an abundant variety of gourmet choices to suite every taste. Since 1997, we have been growing by serving discerning offices with superior service and products. We were Ottawa’s pioneer and today we are the leader in providing sustainable single cup coffee systems. We promote single cup pod systems because they provide the best taste, and they are the most environmentally friendly. The pods are compostable and the packaging significantly reduces the solid waste component inherent of other single cup systems. Our pods are made in Canada using BullFrog Power. Sustainability is in the forefront of every industry. 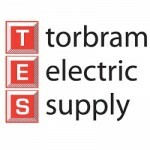 Our strength is our leadership in providing our clients with the latest equipment options to suit their unique requirements. We have the dedication, experience and confidence that we are providing our clients the best products and service. We are a customer driven company, and we take pride in serving our clients. * our Pod Composting Program, an industry first! * our Premium Service which includes these options: Pantry Service, Inventory Management Service, and Order Management Service, an industry leading service using our proprietary web based ordering system. We are the leaders in providing zero to waste options for today’s corporate world. Purchase 1 green fee at regular price, get the 2nd 50% off! 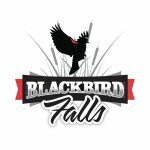 Bring the family to Blackbird Falls putting course today! Purchase 1 green fee at regular price, get the 2nd 50% off! At Brookstreet Café™ you can expect tasty treats from Chef Clifford Lyness’ kitchen. You’ll also find what you may have forgotten at home, Brookstreet merchandise, golf apparel and accessories and what you need for your trip, including take-out meals. KRP tenants are offered a 10% discount. Bring a little Brookstreet into your office with Brookstreet Hotel’s Off-Side Catering. KRP tenants are offered a 10% discount. 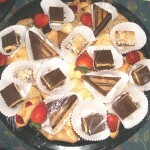 Visit our website for the Catering Menu and Order Form. All of Brookstreet’s four-diamond guestrooms have been smartly designed and tastefully appointed for a comfortable stay on any occasion. All artwork in our luxury guestrooms are original creations by local art school students. Brookstreet Hotel is offering all KRP tenants $20 off posted rates from Friday-Sunday (based on availability). Cannot be combined with any other offers or group rates; not applicable on alcoholic beverages; offers valid for two people per visit; subject to availability. 10% - 15% off regular fees. 10% off registration for summer camp, youth voyages or 1-day tall ship quests on Tall Ship Fair Jeanne or Black Jack. Cannot be combined with any other offer. Haul the line, climb aloft, take a turn at the wheel, learn to navigate, set and douse the sails. Sail trainees work as a team to learn to sail and crew a Tall Ship with Bytown Brigantine. The Black Jack Island Adventure Camp on the Ottawa River is offered to youth 12-14 years old. Youth 13+ and even adults sail their own voyages aboard the Fair Jeanne on the St Lawrence River, 1000 Islands and Lake Ontario. 1-day tall ship quests on both ships offer you a taste of tall ship sailing. Bursary programs are available for summer camps and voyages. An adventure of a lifetime? You bet mate! Cabling Ottawa focuses on the installation of all communication cabling, any computer cabling, phone systems, and hardware installation. Preferred pricing is offered to all KRP tenants subject to value of project. Since 1989, CaTECH has demonstrated an ability to “think outside” the traditional Carrier Box by implementing solutions that truly solve daily business issues for clients with a sound Return on Investment, while enabling technologies that scale with business demands. CaTECH Systems is offering preferred pricing and additional savings for KRP tenants. Cleen Detailing is officially here, servicing your vehicles while you work all summer long! Please pass this message along to your office to ensure everyone gets to experience #TheCleenEffect! Cleen Detailing? Who are they? Cleen Detailing is the highest rated car detailing/cleaning service in Ottawa with over 100+ five-star reviews! With a company-wide 100% satisfaction guaranteed policy, each appointment is treated with meticulous care and attention to detail. Cleen Detailing offers a premium quality car cleaning service with packages that make your car look and feel brand new. These packages include but are not limited to salt stain removal, a complete disinfecting steam cleaning, exterior hand wash, tire shine, rim polishing and much more! They are located at 515 Legget Drive all summer long, and will shuttle you and your vehicle to and from work at the time of your appointment. How do I find out more or book!? Please visit cleendetailing.com/work to view our packages and prices. Excludes taxes, HST, delivery fees, less than 24 hours notice fees, tips, gratuities, and individual lunches. Applicable only to invoices Corporate Catering. La Cuisinette de Mommy Blue reserves the rights to limit this offer to certain minimum and maximum amounts. This Advantage Card discount may not be used in conjunction with other discounts or promotional offers. In the event of multiple discounts, only the highest discount shall apply, all other discounts being null and void. Automotive detailing: interior/exterior cleaning, shampoo, vacuum, wash/wax and buffing. 10% – 15% off all published prices including specials. Your partner in the digital world. Simply put, they help you get noticed using the latest digital marketing strategies and techniques so that you can focus on the core of your business operations. PC and Apple computer sales and service. Complete line of accessories for ipads, iphones and computers. 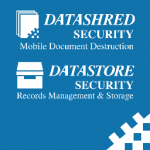 Datashred Security provides on site document shredding service (Purge), scheduled service, media destruction and secure off site records management. With your KRP Advantage Card, save 20% on document shredding (Purge), secured console document servicing and safeguarding documents. 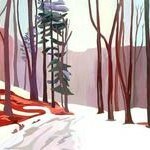 Original paintings or canvas prints to complement your office by artists living and working in Canada. Examples of ongoing projects are displayed in the common areas of KRP buildings. Commissions and curator services are available and we have solutions for all tastes. Kanata Research Park Corporation and Denis Office Supplies established a business partnership over 10 years ago. Denis Office Supplies strives to offer customers nothing short of the best. They pride themselves on delivering exceptional customer service with great prices. It is with this in mind, that we recommend you work closely with this supplier to find an agreement that will exceed your expectations. Denis Office Supplies is ready to extend competitive corporate rates on selected office supply products to Kanata Research Park Corporate customers. Please contact Stephane Seguin for new account inquires at 819-561-5611 x 211 or sseguin@denis.ca. Division 3 Communications focuses on structured cabling, phone systems, boardroom installations and security solutions. 25% off any regular priced items or 5-10% off items already on sale at our Hunt Club Road location only. Appliances would be discounted at 10% off of regular priced items and 3% for sale items. Your life is constantly changing and evolving. We want to help you create a home that can keep up! Finding that perfect fit for your space, your budget and your style is not always easy. Do you lean towards cozy casual spaces or modern chic designs? Traditional white or stainless steel? Dreaming of memory foam or plush pillow top? We will help you find the style that’s right for you. Take a look inside our catalogue, or on our website @dufresne.ca and then visit us in-store. Be inspired by our stunning furniture, our huge selection of Canada’s best appliance brands and take your free sleep assessment in our exclusive Dream Experience mattress gallery. We look forward to helping you find a perfect fit for your life and style. At Flex Fitness Studio, members and Brookstreet guests enjoy access to a spacious state-of-the-art gym. Our expert, certified and enthusiastic trainers are ready to help you achieve your fitness goals with a full range of personal training packages and fitness and nutritional assessments. 35 pieces of state-of-the-art fitness equipment by Technogym, personal trainers, dry saunas, whirlpools, indoor and outdoor saltwater pools, towel service, and personal lockers. KRP tenants will receive a monthly rate of $55 plus HST with a minimum 3-month commitment. Cannot be combined with any other offers or group rates. Free Form Fitness is a personal training centre that provides customized solutions regardless of the shape you are in. We are personal trainers who care. With your KRP Advantage Card, enjoy 10% off all in-store entrees. 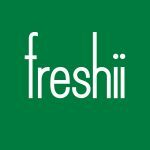 Please see the freshii website for menu details. We provide 20% discount to all services not covered by dental insurance, for those members who have a dental insurance policy. 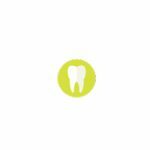 We will offer 20% to those members who do not have any dental insurance on all services. For those members who become new patients and have an exam and hygiene appointment with us, you will receive an individual take home whitening kit designed to brighten your smile. For those who are not candidates for whitening, a sports guard will be offered. If none of these offers suit you, how about a date night at the movies on us? Our office is family friendly, has early morning, evening and weekend hours to make appointments convenient for all. We direct bill insurance and our staff is highly trained and exceptionally friendly. We make dentistry easy! Gourmet To Go Catering Ltd.
Gourmet To Go does corporate catering and special occasion/allevent catering. KRP tenants will receive a 5% discount off food orders (does not include rental, service or delivery charges). Catering for breakfast, lunch and anything in between. Do you suffer from back pain, sore neck, numb or tingling hands, sciatica and more? We may have the solution you are looking for! Chiropractic Exam, x-rays (if needed), and three adjustments for $35 (valued at $255). Limit 1 per person. Appointment required. 48 hour cancellation notice required. New patients only. Services must be used by the same person. Full report of findings required before adjustments can be scheduled. All adjustments must be used within 1 month from exam. Must sign waiver. Tenants receive 10% off all rental fees (Brookstreet location only). KRP tenants will receive 40% off ergonomic tools/equipment. World’s largest ergonomic consultant as well as a provider of class leading ergonomic tools, ie. monitor and keyboard supports, LED lighting, foot support, CPU holders, etc. Inner Revolution is a yoga studio for beginners to experienced yogis. Our goal is to inspire wellness, and create balance. Join us for a class today! The stunning Clubhouse design is at its finest in The Marshes’ comfortable elegance, as is our impeccable service—the hallmark of The Marshes. Together, they assure you of a memorable experience! Ironstone Grill is an oasis amid the stress of one of Canada’s leading corporate business parks—and the excitement of one of the country’s most challenging championship golf courses. 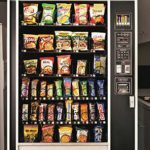 – Modern vending solutions for healthy snacks and cold beverages with flexibility to customize your employee snack program. – Profit sharing on vending for employee social club initiatives or company charities. – Breakfast and kitchen supplies can be sourced through us to provide a true “one stop shop” for all your office needs. Jiffy Photo and Print’s main focus is printing and copying where we offer everything from B&W or colour photocopies to business cards, flyers, letterhead, books, manuals, signs, banners and just about anything else you might need. We have a graphic designer on staff and would be delighted to help you customize or design your print products. Jiffy Photo and Print also offers photofinishing services include photo enlargements and canvas printing. We have a selection of frames, photo gifts & promotional items including t-shirts, mugs, mouse pads and a lot more. KRP Advantage Card holders receive a 10% discount on all printing and photo printing services produced in-house. Various - they come to you! Kanata Mobile Tire offers seasonal tire changes throughout Kanata and surrounding areas. As a KRP tenant, receive 10% off the regular price of all tire changing services. 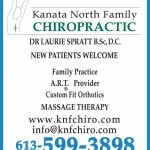 Enjoy a better quality of life – come and see our caring staff for chiropractic, custom fit orthotics and registered massage therapy. New patients welcome. The word “la Cucina” is Italian for “the kitchen” and your host Giuseppe and chef Johnny strive to make your dining experience one to remember. Located in the heart of Kanata at Hazeldean Rd. and Castlefrank, just minutes from Scotiabank Place, we are open for lunch Tuesday to Friday from 11 a.m. and open Mondays from 5 p.m. Featuring a full menu of modern and traditional Italian dishes, la Cucina is sure to please everyone’s palate. Using local suppliers ensures everyday freshness for all our menu items. Mixing traditional and contemporary cuisine together, we are sure you won’t be disappointed. KRP tenants have a 10% discount off of food purchases during lunch hours. Stop Waiting in Line and Wasting Your Time. Get the Health Care You Need… When You Need it. As a valued member of the KRP membership program, La Vie Health presents an exclusive offer on their Point One Care Concierge Program to deliver you and your family immediate and easy access to the highest quality health care. Whether you need immediate emergency care, a prescription renewal, or health advice we are just a call, email, or text away. All of your medical tests, specialist appointments and referrals are arranged and coordinated by your case manager – no extra work for you! No limit on concerns, questions, or time. No months long waits or line ups – Don’t wait until things get worst before you get appropriate attention. Guaranteed private CT scan or MRI within 2 days at no extra charge. Exclusive to KRP members and their families, La Vie is excited to offer membership at a 50% discount until December 31st 2016 – that’s up to $500 in savings if you sign up this week! Since 2007, La Vie Health, under the direction of Dr. Hassan Sannoufi, MD, CCFP, EM has been a leader in preventive medicine. Also known as risk reduction, the center’s approach is to work with patients to maintain good health and to reduce or eliminate the threat of cancer, cardiovascular disease and other ailments. Always a leader, La Vie has unveiled an international first in health care with its My Life is in My Hand Program. For the first time, a portable personal health file that may be given by a patient in case of emergency to any healthcare unit anywhere in the world. La Vie Health offers the Point One Care membership package that gives patients year-round access to the health center for medical care and La Vie’s extensive range of integrated services, including a diet and fitness programs, pre-fitness assessment, pharmacology review, a travel clinic, a cosmetic clinic and a health allies network. La Vie’s Point One Care program is for immediate, urgent, and easy access to medical team for urgent matters (excluding cases required to be treated at the hospitals’ emergency departments). It will not replace your family doctor and La Vie’s doctors will not provide family practice continuity of care. **Children under age 21 are enrolled at no cost when two parents join. If one parent joins, all children under age 21 are enrolled at the cost of one adult. Laidlaw Financial Inc. specializes in financial planning and investment management. All KRP tenants will receive a complementary financial goal assessment. New patients coming in for a cleaning and exam will receive their choice of free custom teeth whitening, electric toothbrush or gift card. Lone Star Texas grill is a down home, authentic Texas restaurant that truly is Texas to the bone ! The menu caters to everyone, with an assortment of Tex-Mex food in a different price ranges. As a KRP Tenant, enjoy a 10% discount for dine-in only food from Monday to Wednesday from 11:30 am to 3:00 pm. Each KRP Advantage Card is valid for up to 5 guests. Come in and enjoy some Chinese food, Cantonese and Szechuan style! Lucky Dragon Delight offers KRP tenants a 15% discount on regular priced lunches Monday to Friday from 11:30-2:30 (dine in only). Discount does not apply to lunch specials. Office catering packages are available. KRP Advantage card holders receive 10% off meal items! MAC-FM facilitates office moves as well as furniture sales. All KRP tenants will receive preferred pricing subject to value of project. MAKING THE LOGICAL MOVE are relocation management experts that budget, plan, coordinate and supervise every aspect of your relocation from move assessment to hiring the right company to handle the relocation. We have been described as the wedding planners of moving, or the orchestra conductors with constant oversight of the relocation and able to address change as required with solutions. With 30 years of commercial, office and residential relocation management, we know what to do in the most efficient, cost effective manner. Ensuring the selected contractors have a clear understanding of the scope of work and the expectations to be met. Whether a residential move, or the relocation of your business we take the stresses from the transition with detailed planning and follow through to completion, on time and on budget. That’s MAKING THE LOGICAL MOVE. KRP Advantage Card members receive a FREE consultation and PREFERRED pricing! MarchWood Golf Course, a European, PGA-approved Short Course is a truly unique small-scale version of The Marshes Golf Course. This course was designed for golfers by golfers. It represents a true test of golf ability, but allows you to get around in a short time. MarchWood offers a golfing experience unlike any other in Canada by virtue of design, quality and attention to detail. 7 days a week before 12 pm KRP tenants can play for $10 (plus taxes). Cannot be combined with any other offers or group rates; not applicable on alcohoic beverages; offers valid for two people per visit; subject to availability. Mastermind Event Rentals is a proudly owned family business located within the heart of the Kanata North Research Park. We offer rental solutions for all types of events big and small. From corporate meetings to galas and even personal home events. Our 13000 square foot warehouse on Legget Dr has a full showroom so you can see all the items you may need (linens, tables, chairs, dishes, pipe and drape, and more). KRP members receive a 15% discount on all in-stock rental items. Ask us how we can help make your next event one to remember. My Smile is a general dentist with an emphasis in cosmetic dentistry. We are proud to offer advanced dentistry services using the newest dental technology on the market. 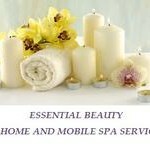 Our office strives to provide quality, gentle care, in a clean, comfortable and relaxed atmosphere. Our team of dedicated professionals work together to ensure our patients receive the very best in their time with us. Myers Volkwagen has new car sales, parts sales, car servicing and car detailing. KRP tenants will receive 4% over invoice on all new in stock vehicles (except Touareg) plus delivery fees and taxes. They will also receive 10% off all regularly priced service and parts including boutique items. As well as 10% all regularly priced detail packages. With our Financial Package for ENGINEERS you get access to financial products and services tailored to your needs. This program is an advantage offered to Engineers or Engineering Graduates who hold a National Bank Platinum MasterCard®,1 related to the program. ENGINEERS, did you know that we have a dedicated advisor to serve you? Personal Banker, Ed Moy, specialized in serving our engineers in the community. Contact him for your inquiries at Eduardo.moy@nbc.ca or call him at 613 592-0440 EXT 6012. Nexus offer the most comprehensive list of social media services available today. In the ever-changing world of new media and social communications, Nexus delivers leading edge strategies for social media interactions on a local, regional, national and international level. Whether you are installing a new system, upgrading an existing one or moving to a new location, we know you need your voice and network systems to be up and running as quickly as possible. That’s why NuEdge has developed meticulous pre-implementation processes as well as excellent training and support, all of which are aimed at minimizing downtime and disruption to your business. As an Avaya authorized dealer, we have access to all the latest and greatest features in voicemail, email and conferencing capabilities, as well as mobile extensions for employees on the go. NuEdge offers quality structured cabling and wiring solutions. Our Well trained technicians are experienced in the installation of voice (Cat 3) and data (Cat 5E or Cat 6) wiring as well as coaxial and fiber optic cabling. Let NuEdge help you with your voice and network cables as well as the Audio/Video for your display TV or projector, your microphone and all the Audio/Video accessories. From a few cables to a few hundred, from basic wiring to complex applications, NuEdge has the expertise and the capacity to keep you in the loop. All KRP tenants will receive 10% off on all phones and phone accessories, 7% off on all systems. 3 months free service on a 3 year term VOIP system. The warm, sophisticated Options Jazz Lounge is an integral part of the Brookstreet boutique hotel ambiance. A cosmopolitan interior, boasting thought-provoking architecture, is juxtaposed with bright windows offering panoramic views of the spacious patio and adjoining Marshes Golf Course. With free high speed WiFi, Options Bar is an ideal spot for business lunches or relaxing after-work aperitifs. The menu features contemporary sushi, unique to Ottawa’s West End, as well as other mouth-watering culinary creations by Brookstreet’s Chef Clifford Lyness. KRP tenants receive 10% off from Monday-Thursday. Directory listings, contesting, newsletters and banner ads. Ottawa Kiosk.com is offering 15% discount to KRP tenants as well as a free 1 hour consultation. 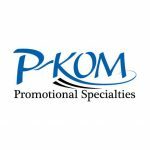 Branded promotional items; pens, mugs, apparel, golf items etc. Printing services; business cards, letterheads, flyers etc. Advantage card holders receive a 10% discount on products as well as a waived set-up fee on your first order! Dine-in restaurant with Pizza, Italian Food, Lebanese Food, catering, delivery and great for corporate functions and meetings. 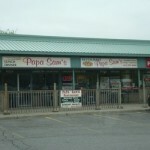 Papa Sam’s Restaurant is offering all KRP tenants 15% off of food purchase dine-in only after 4 p.m. Also, preferred pricing for corporate functions and take out. Please mention advantage card ahead of time. Park’N Fly’s “Best Value” in Airport Parking can be used for business or personal travel. Sign up to Park’N Fly Rewards: Upon completing the enrollment form, you’ll receive a rewards card that you can use to access the automatic discounts plus earn FREE parking and Aeroplan Miles on every stay! Use the Discount Code, 947614: No reservation required! Simply use your discount code at time of check out (returning to pick up vehicle) and automatically receive the discount. 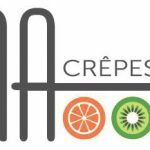 Perspectives Restaurant offers all KRP tenants 10% off food purchases from Monday-Thursday. Cannot be combined with any other offers or group rates; not applicable on alcoholic beverages; offers valid for two people per visit; subject to availability. Physio Optimum offers physiotherapy, massage, acupuncture and nutrition services. Pro Oil Change would like to extend a free oil change to all the KRP cardholders on their first visit to a maximum value of $50.00. Oil packages starting at $34.99 but we will credit up to $50 on any synthetic or specialty oil upgrades. • Free fluid top-ups with each visit including a full refill of washer fluid! With your KRP Advantage Card, save 50%! Purchase 1 month of Fitness For Life (Muay Thai Kickboxing and Circuit Training) membership, get the 2nd month for free. Classes run Monday to Friday during lunch hours and after work. See our website for the full schedule. RCAP(tm) Leasing operates one of Canada’s longest-serving and most-respected equipment financing businesses. Our professionals have been meeting the equipment financing needs of our customers since 1967 and have a proud tradition of empowering the growth and productivity of Canadian businesses. Enjoy 100% financing, conserve valuable working capital and experience ease of asset acquisition with RCAP(tm) Leasing Inc.
RCAP Leasing will WAIVE the first and last payment on approved credit for any lease generated through the KRP Advantage Card Program. Sequoia Communications is an established Ottawa based company with over 50 years of combined expertise, experience and success in the planning, design, installation and maintenance of reliable network cabling solutions. 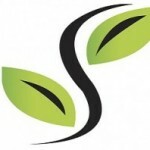 Working with a number of high profile companies in the Ottawa business community, Sequoia has established a solid reputation for on-time and on-budget delivery solutions and attentive customer services. Offering preferred pricing for all KRP tenants, subject to value of project. 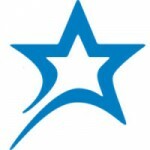 Star fashion cleaners has always been a symbol of quality in garment care. Now our main focus is service aim to please with a seamstress and free pick up & delivery at your home or office. Star fashion Cleaners are offering 10% of drycleaning and laundry Monday-Friday 7am-7pm and Saturday 9am-5pm. Swift Eyewear is in the business of providing onsite eyewear “try-on and purchase events” with great deals on prescription glasses and sunglasses. 2 pairs of single vision glasses with premium anti-glare, anti-scratch, and UV coating for $199. 2 pairs of progressive glasses with premium anti-glare, anti-scratch, and UV coating for $349. With your KRP Advantage Card, enjoy a 25% off catering and/or delivery orders over $30.00. 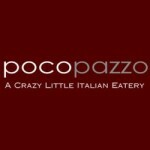 For orders under $30.00, enjoy a 15% discount, eat-in or take-out. The Crazy Horse Stonegrill Steakhouse and Saloon has a new dinig experience where your cut of meat is presented to you on a heated lava rock tableside. Accompanied by live entertainment from Nashville and Halifax. KRP tenants are offered 20% off all lunch items during lunch hours. *Stonegrill is not included in this offer. The Marshes Golf Course—a Robert Trent Jones Sr. last design (and a collaboration by father and son) is one of the nation’s finest golf destinations. The Marshes is Ottawa’s leading corporate-play facility, bringing one of the nation’s finest golf experiences to the very doorstep of the city’s thriving business community. The Marshes features breathtaking holes, gentle streams and crystal-blue lakes weaving through modern towers of glass and steel-all against the distant backdrop of the Gatineau Hills. 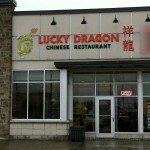 Opened in June 1989, it is located in the “high-tech” business section of Kanata. 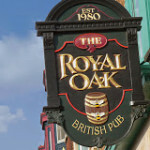 Frequented by high-tech professionals and residents of Kanata, this pub is one of the largest of the Royal Oaks. Three separate rooms, 17 draughts on tap, a cozy fireplace, friendly staff and comfortable patio make this the premier pub in Kanata. 10% off of purchase of food from Saturday to Wednesday. The Salon Westend Unistyle Inc.
Unisex hair services: Hair cuts, hair colour, and highlights for men, women and children. Advantage Card holders receive 10% discount on products, free consultations, and parts and supply solutions. Trillium Floral Designs create fresh, artificial and dried arrangements, plants and dish gardens, weddings, funerals, births, birthdays, delivery across North America. Trillium is offering 15% discount to all KRP tenants on in-town orders only. 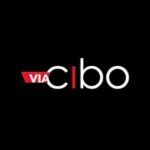 Italian street food restaurant – Visit Via Cibo in the Kanata Centrum and enjoy real Italian street food, the way Nonna always made it! KRP tenants receive 10% off your purchase AND spend $100 or more on catering and get a $20 gift card!